Several years back, while I was gathering books for the LSU Baptist Collegiate Ministry's new library - really more of a 'resource shelf', but 'library' sounds nice - I was browsing through a series of inexpensive, trendy-looking Christian classics, and I found a short book by John Wesley (oh, cool!). It was called "A Plain Account of Christian Perfection" (... huh?). I never really got past the title. "Perfection"? No thanks. I'd met some Christians in college who believed once they had faith they never did sin again, but I'm not sure how well that was working out for them. And I knew the scriptures: "there is none righteous, no, not one" (Rom 3:10). I'll pass on the 'perfection' talk, thanks. Fast forward three years: I'm in seminary, and I'm a United Methodist (long story). Suddenly, not only am I reading a lot of John Wesley (you might call him the 'father of Methodism'), but I'm entering into an ordination process at the end of which I'm going to be asked, "Are you going on to perfection? Do you expect to be made perfect in love in this life?" And they expect me to answer 'yes'. So "Christian perfection" isn't any longer some weird, foreign teaching I can just set aside and move on with my day. Christian perfection is now central to the gospel tradition that I've identified with. And you know what? Now that I've been forced to study it and actually learn what Wesley meant by 'perfection', I have a very different opinion on the matter than I once did. God's love fills your heart up, and there's just no room left in there for sin. That's the hope of Christian perfection. But why would any realistic believer hope for something like that? I know me. You know you. Nobody's perfect - there's none righteous! We're not going to be free from sin in this lifetime. Where did Wesley even get an idea like that from? Well, he got it from the Bible. Jesus, in Matthew 5, calls his followers to "be perfect." Is this some impossible burden Jesus has placed on us, or is it a real option for a Christian? 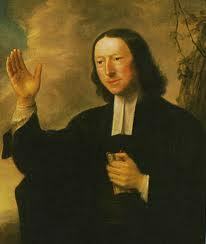 And in 1 John (one of John Wesley's go-to books), we read: "My little children, I am writing these things to you so that you may not sin" (2:1). Maybe it is possible, at least for a time, to be free from sin's power, to be able to not sin. That's something to hope for, at least. This is what John Wesley meant and what United Methodists mean when we talk about 'perfection'. If it still sounds a little strange, a little different, I understand. And I understand if you're thinking 'that probably won't happen to me'. But, who's to say God couldn't transform your life, won't fill your heart up to the brim with love through the Holy Spirit (see Rom 5:5)? Wesley never claimed to reach perfection himself, and he was routinely skeptical of of those who did claim it - but don't we say that for God all things are possible (Matt 19:26)? So maybe, just maybe, if we open our hearts up to Spirit's work, you might, one day, just for a minute, feel like you're answering Jesus's call to be perfect as the Father is perfect, like your heart is so full of God's love there's no room for anything else. This weekend we spent some time helping clean out our family storage unit. How did we get all of this stuff? But it's not just us. The sterile, while halls of this climate controlled storage warehouse are so narrow it's hard to tell just how big the place is. The units are all numbered, though: I found number 327, so there are at least that many. In this place. There are other storage facilities around town. And other towns. And other states. Just how much stuff do we have? Sometimes it's fun to look through everything, maybe find some hidden treasures, definitely take a walk or two down memory lane. And sometimes it's just sad, remembering buying this or that, so important at the time, now in the pile for Goodwill. What a waste. If I could only do some things over - we could have ended up with a smaller storage unit. There are over 50,000 self storage facilities in the United States. By comparison, there are over 3,000 in Canada and over 1,000 in Australia. Close to 11 million US households rent a self storage unit. There is 7.3 square feet of self storage space for every man, woman, and child in the nation. Of course there are times in life when you might really need a storage unit. Military personnel serving overseas, or a missionary; someone moving to go back to college; your house is having major renovations, and you have to clear out; you name it. But we sure do have a lot of stuff. So much that we have to build bigger barns to hold it all. We know we store up some treasures for ourselves, but what about being rich towards God? How are we doing on that front? Jesus prefaced the parable with another important word: "Be on your guard against all kinds of greed; for one’s life does not consist in the abundance of possessions" (12:15). Sometimes, at the rate we go (read: acquire), you'd think life must consist in the abundance of the things we possess. Why else would we race to own more and better stuff? Maybe we need to be on our guard. Of course, sometimes you might really need a storage unit. But what about all of the stuff we put in it? And on it goes. This is a different way than many of us are probably used to thinking about the animals and the natural world around us. The hymn echos these lines and gives us a chance to join in creation's song of praise. So before we roll our eyes at St. Francis's song, we should ask if there's perhaps something to all this talk of sisters, brothers, and mothers. I just started reading Richard Bauckham's book, The Bible and Ecology: Rediscovering the Community of Creation. For my money, Bauckham is one of the most brilliant and important biblical scholars in the world today. His close attention to the texts and his encyclopedic knowledge of the contexts consistently yield fresh and utterly compelling interpretations. This particular book aims to highlight the many, frequently overlooked passages and themes in scripture addressing the wider, non-human creation and how we ought to relate to the rest of God's creatures. One of Bauckham's main arguments from the get-go is that "humans are fellow-creatures with other creatures" (ix). Yes, we have unique capabilities, and God's given humanity a special role in the world, but we are still fellow-creatures with the others, sharing this world in community with them. This is a point, he suggests, that we might have noticed in the first chapters of Genesis, if we could just see beyond chapter 1's talk of human dominion (1:26-28). You may have heard about the connection in the Hebrew language between the man and the dirt he's formed from. The word for man is 'adam, while the word for ground or soil is 'adamah. There's a connection between the man and the dirt that you miss in translation. God made people out of peat. Or, "God made humans out of humus," as Loren Wilkinson put it. (And that's "humus," not "hummus.") According to Bauckham, "this earthiness of humans signifies a kinship with the Earth itself" (21). And not just a kinship with the earth, but with the animals too. A few verses after the Lord forms the man, he goes to work again: "out of the ground the Lord God formed every animal of the field and every bird of the air" (2:19 - and compare that to 1:24). The man and the animals are cut from the same cloth! They're cousins of some kind, you might say. Now, the Lord doesn't breathe the breath of life into the animals here in Genesis 2, but, if you look ahead to Genesis 7, notice how the cataclysmic destruction of the Flood is described: "All flesh died that moved on the earth, birds, domestic animals, wild animals, swarming creatures that swarm on the earth, and all human beings [that reads like a summary of 1:20-27]; everything on dry land in whose nostrils was the breath of life died" (7:21-22). Verse 22 is simply a reiteration of verse 21, but it makes clear that every creature has received the breath of life from God. Which makes sense. How else would things be alive? Right there are three connections that Genesis makes between human beings and the other creatures of the earth. Humanity is certainly distinct in several ways and even has "dominion" over the other creatures (whatever exactly that means), but there's a relatedness we can't miss. We're related to the soil; we're related to the animals - we all received the gift of life in our nostrils from the Lord. Our connection to our fellow-creatures is even implied by our very call to have dominion over them, Bauckham suggests. How is that? "Since Genesis 1 presents this authority as a kind of kingly rule, it is relevant to recall the only kind of human rule over other humans that the Old Testament approves" (32). This takes us to Deuteronomy 17:14-20, where the Lord describes the kind of kingship that will be permitted in Israel. These stipulations begin and end with one particular emphasis: "One of your own community you may set as king over you... [not] exalting himself above other members of the community" (17:15, 20). The vertical relationship of having authority over others must be founded on the horizontal relationship of being members of the same community. That's the sort of authority God approves. And so our dominion "is rightly practiced only when we recognise it to be dominion over fellow-creatures" (33). We are called to have dominion over the creatures of the earth precisely as fellow-creatures of the earth. We are all members of the community of creation together. Maybe, just maybe, it's not so crazy to talk about "brother sun," "sister moon," or "sister water." Maybe there's a biblical truth there we forget, that all of God's creatures are members of one community of creation, all children of one Creator. Maybe, the next time we hear Jesus answer the man's question - "And who is my neighbor?" (Luke 10:29) - we need to think more about what that animal is doing in the story.